Hubby is not big on celebrating his birthday, so I try to keep it simple and low key. However, since the birth of Sarah, she and I have begun a tradition of preparing an annual celebratory birthday meal. Throughout the year I’ve been pinning recipes and ideas that make me think of hubby onto my Pinterest board titled “Hubby Stuff”. When his birthday or Father’s Day approaches, I check my boards to see the things I’ve pinned. After browsing my Pinterest board I came up with a breakfast menu he would enjoy. 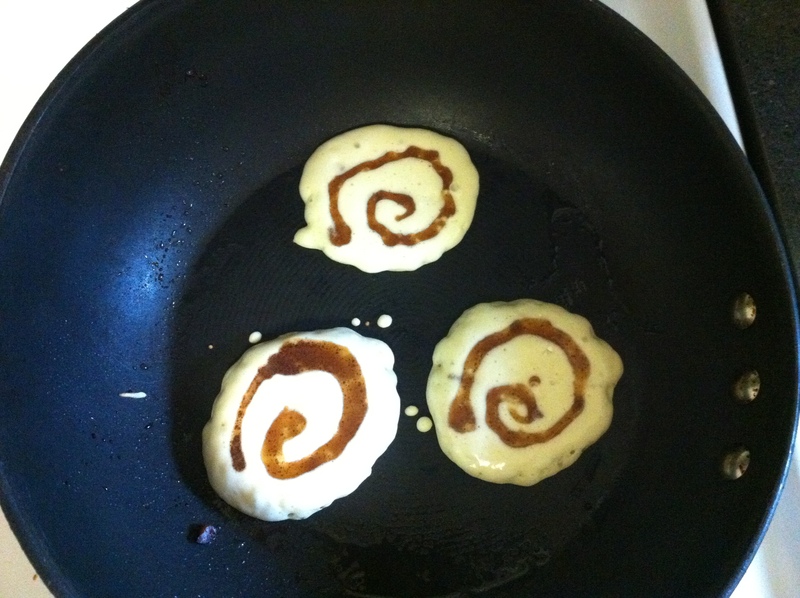 First I made these Cinnamon Roll Pancakes. 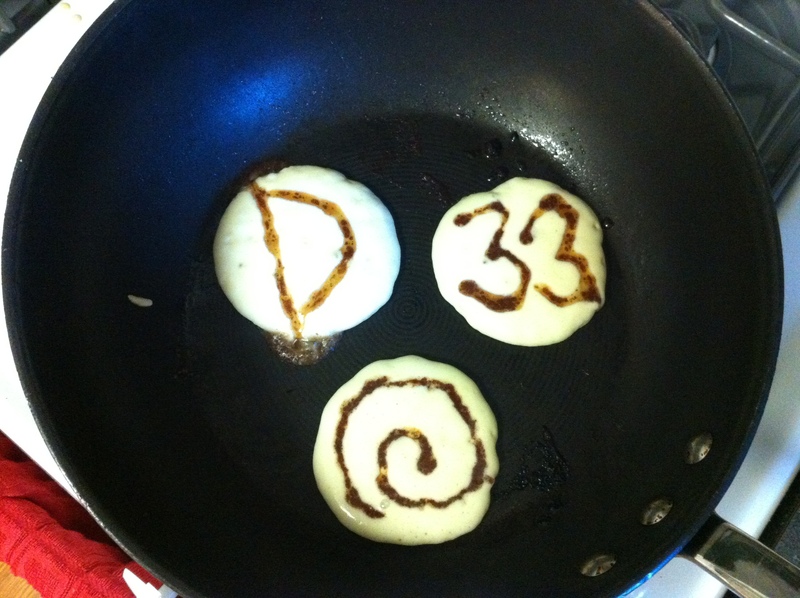 They were really easy to make and were enjoyed by all three of us. Recipe can be found here. 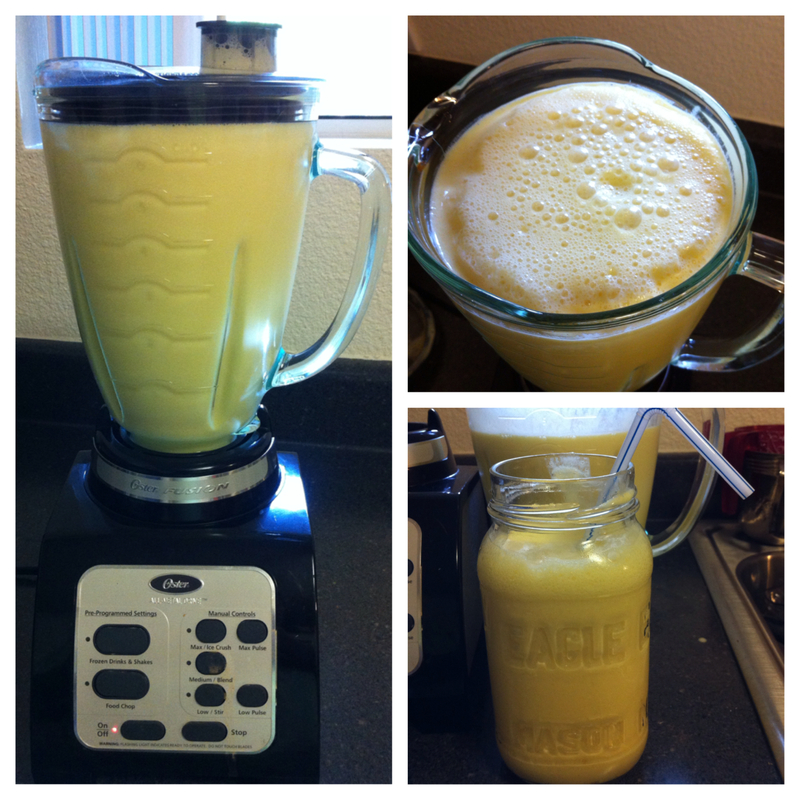 Next I made a copycat recipe of Orange Julius. Hubby thought it was too tangy, but I thought if it was any sweeter it would be to sweet to drink. Recipe can be found here. 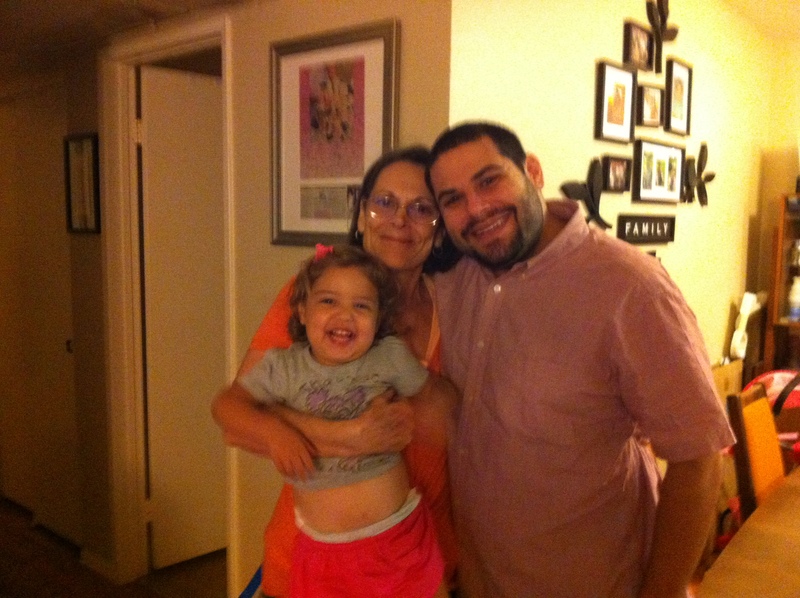 Later that evening we had his mom join us for dinner and birthday cake. 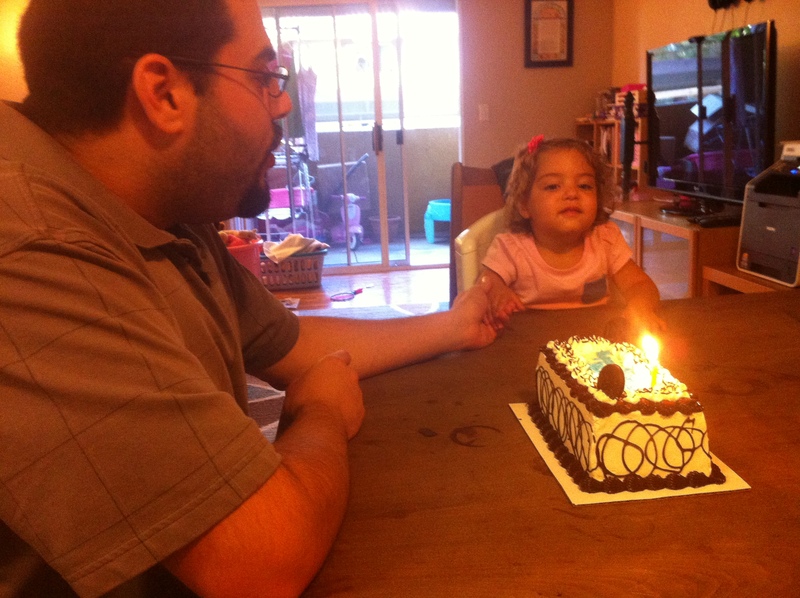 Here is hubby and Sarah blowing out the birthday candles. Sarah is really into blowing out birthday candles recently and she asks to blow out other peoples candles (oy! ).